Thought a little red Smeg might be a nice gesture for Valentines today for any visitors that happen by. I snapped this picture of this cute little fridge at West Elm's Market last week to show Earl and thought of it today when I ran into another Smeg online. Such a cute little vignette. Red + Smeg = Love. Happy Valentines! Very cute! And I think I really want that fridge! Tumtum - so not fair! I love SMEG. I want that fridge one day. My love for this fridge knows no bounds. I would love to see more designers offering colour options in home appliances. This is such a nice fridge! 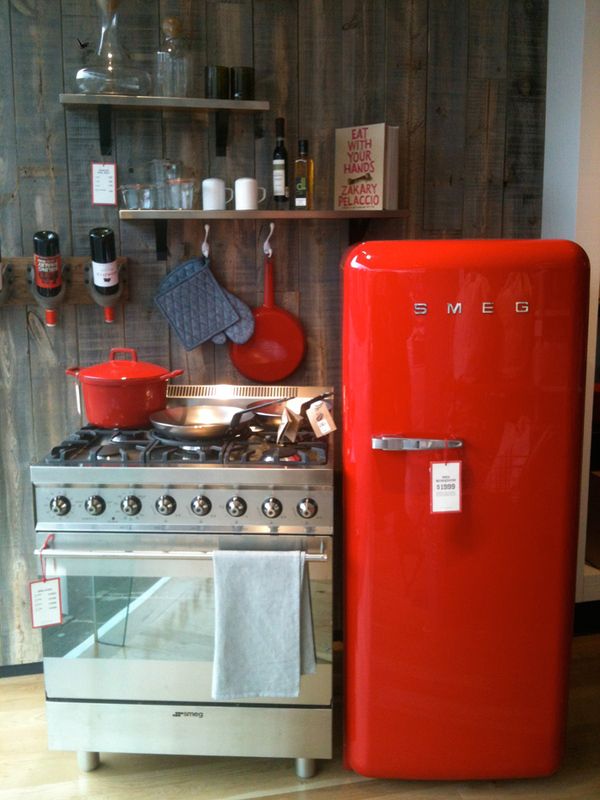 I love the red and shiny colour, I want a smeg!